Pick a Win Condition: This is very simple! Picking a win condition is the most important move in draft matches. This will decide how easy it is to take down the opponent’s towers. Always pick at least one win condition If you have the chance (Giant, Miner, Hog Rider, Graveyard, Goblin Barren, Lava Hound, Golem, 3 Musketeers etc). Hog Rider and Giant are always the best viable win conditions. Goblin Barrel and Graveyard require specific cards to be countered. Although Musketeer can solo kill Baby Dragon, pick Baby Dragon because it is a hard counter to your Graveyard. Also, If you are lucky, you can combo it with Tornado + Graveyard later on. But luck will matter a little and it’s definitely possible to just plain get a bad challenge. It takes me between 1 and 3 tries to get a 12-win legendary challenge done. On a bad run it takes as many as 5 tries. Players who are good at drafting can win with consistency despite the randomness. You can get better at drafting. If you’re free to play, getting good at drafts and saving up gems is an awesome way to get legendary cards. F2P Tip: I have multiple accounts but I save my F2P’s gems exclusively for big prize challenges, preferably legendary releases. When you’re free to play, you probably won’t have a lot of gems. But the big releases are big prizes. Bank gems in preparation so you can give it a few tries. So in your average challenge you construct a deck (or for many of you, copy one) and that deck is ready-made to counter the popular cards/decks right now. 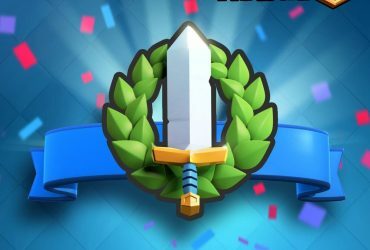 It has well defined attack strategies and counter-moves, and with YouTube, Twitch, or Reddit you can learn how to combine attacks and defend against other decks that are popular. You can’t do that in draft. You don’t get the full card selection. You have cards you don’t really know. And, you definitely didn’t get that sweet combo you love. Sometimes you don’t even know what your attack combinations are going to be until you get into the game. In the normal game when he plays a Baby Dragon or a Night Witch, you can make a lot of assumptions. The first few plays, a player makes immediately telegraph his deck to you, and you know what to start saving for defense. You can start organizing your rotation around surviving/defeating Golem/Night Witch 2 cards into the match. In draft you both need to learn on the fly, what combinations you can use, and what combinations he might have and how you can stop them. You know 4 cards in his deck, but there are 4 cards you don’t know and any play he makes won’t tell you the rest of his hand. Each play tells you only one card he has. Your attack combinations are probably different than ones you’re used to, and so are his. You’ll want to see a few troop exchanges before you really go all in on any attacks. In most cases your defenses will be less than perfect. You didn’t get to choose your defenses and some of your opponent’s attacks will deal damage. Depending on the deck you received, your attacks might even need cards crucial to defense. You and your opponent are both likely to leak damage far more often than in a normal game. 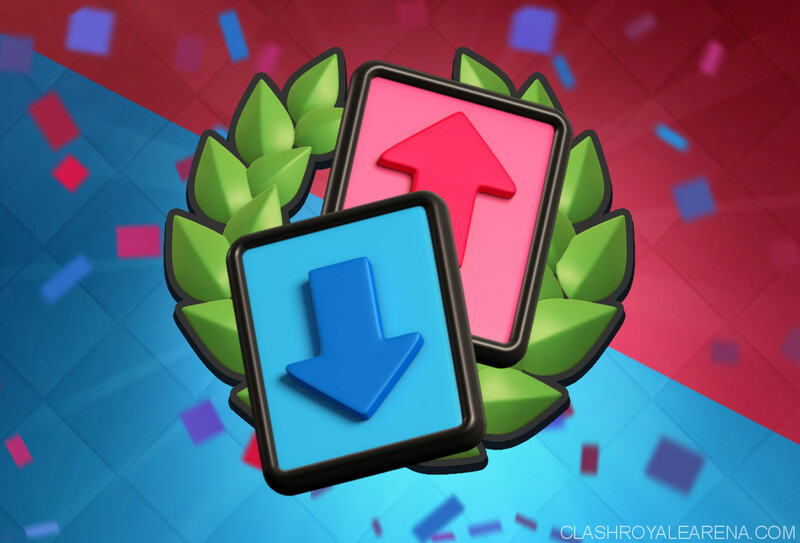 Be ready to set up a 2 or 3 crown win every game, because odds are decent you’ll lose one tower. For the same reason, you want to avoid taking chip damage on the healthy tower, just in case you need to prevent him from stealing a 2 crown reversal. You can’t say whether he has a weak 3 crown deck until more than halfway through the challenge when he shows you his 8th card. Every pick you make should be influenced by other picks you’ve made. This means you need to consider cards you’ve taken or given. Did I give him an easy counter to this? If I let him have this card, am I gonna die? Can I make his deck weaker or my deck stronger by this choice? Can I make him weak? Can I make myself strong? Example: Giving him 3 spells and a building will mean it almost doesn’t matter what you end up with as long as you have troop cards. Same goes for making his deck just insanely expensive. But you can also give him cards you already have good counters to. Especially if you have multiple ways to counter those cards. A Minion Horde is not that scary if you already took Fire Spirits. It’s just a good way for him to fail at attacking. Example: You already have a Golem. Inferno Tower comes up as a choice. Was the alternative card a nuclear weapon? No? TAKE THE DARN INFERNO! STOP THINKING ABOUT IT. Only one of you can have an Inferno Tower. Now it is not him. Suddenly the Golem is lookin’ pretty freakin’ suuuuweeeeeeeeet. Minion Horde is an incredibly strong card. If your only air defense is a Musketeer, you probably don’t want to risk him having it, even if the other choice seems very good. If you have Arrows, or Princess or Wizard, then hey, who cares if he has Minion Horde. At that point you can give him a Minion Horde because you can hard counter it. Though you could still choose it if it makes your deck better. Did I give him a counter? Example, it’s same thing in reverse. If he has Fire Spirits, well, Minion Horde isn’t very strong for you now so picking it might be a mistake, but you still may want to keep it out of his hand if you don’t have your own way to deal with it. With only half the deck to pick you’re not going to get everything you want. Don’t set yourself up for failure by hoping he gives you something you already know you need. Remember he has to give you 4 cards, so if you’re forced to give away a card you want because you need to take a counter it’s okay. And he gets the same deal, he might have already taken a card that counters the stuff you took, but avoid giving him one! In Draft, the limited selections will improve certain cards, and degrade others. Generally if a card has multiple uses, or if it can be combined with other cards easily it’s a good draft card. Usually these are cards you find in multiple meta decks because they pair well with multiple things. Certain cards aren’t that good in draft mode. They rely heavily on combinations to work well, and since you can’t guarantee you’ll have all of the pieces to those combinations, you can’t guarantee you’ll be picking a good card. Generally if a card is only ever found in one of the meta decks then you should think hard about whether it’s going to work with the cards you’ve already got, because it probably doesn’t play that nicely with others. Goblin Barrel decks usually rely on heavy defense, and baiting out all of the good counters so you can chip chip chip. While your opponent probably doesn’t have good counters, you’re probably not going to be able to play defensively. Which means cards that excel at 1 crown wins aren’t as good. This is a card that can be an amazing value on defense. Unfortunately you’re very likely to end up in a situation with a mediocre offense, and this card will be completely useless in your attacks. Unless you already have a Hog Rider, or other good cycle-attack, this cycle-card is a bit too risky to choose. Big beefy tank to distract the Tower? Great! But this really only does the job of tanking for air troops, and how many of those will you have? If you can’t answer that question, then you probably shouldn’t pick the Lava Hound. Some cards are exceptionally strong in draft. I break them into 3 classes. Most of the time win conditions are building targeting. Don’t get hung up on that in Draft though. The fact that your opponent’s deck is almost always sub-par allows a lot of cards that to act as win conditions when they normally would be medium/bad choices. Golem: I really, really hate Golem, but it is hands down, my favorite draft card. Golem is extremely difficult to counter when you can’t pick an Inferno Tower, or a P.E.K.K.A. P.E.K.K.A: If he has a tank, or has no swarm troops then the P.E.K.K.A can be very good as a win condition, serving as both tank killer and as a tank. If you already have a P.E.K.K.A (or Infernos), is basically the only time I’d “give away” the Golem. If you took a Golem, you probably want to take the P.E.K.K.A, and just accept that it’s a card you’ll have to accept a dead card to choose Either/Or. There’s no guarantee he’ll have any heavy spell or other good counter to this deadly card. Many draft decks are light on air defense, and if you saw 4 of his cards, you can ensure it. On the other hand if you have perfect Balloon defense with your choices, give him the Balloon, so he can waste 5 Elixir. Most draft decks aren’t complete well rounded decks. Versatile cards can do multiple things very well that utility can keep you from being stuck without an answer to Minion Horde, or a way to kill tanks. This is my list of “good to haves” but any card that can be used to solve multiple, different problems is “versatile” in my book, and that makes it good to have. Medium ranged damage, slow, and a splash effect on spawn. He can counter swarms with his splash, defend tanks, and act as Inferno/Sparky stoppers. All while acting as a damage support card. In normal play he can be underwhelming, but remember, your deck is probably not a complete deck. Hunter can act as a swarm counter at range, or a Tank Killer up close, plus he has medium HP and can survive a hit from most things. Okay it’s not that low, but he does a lot of different things. Our newbie is very good at swarm control and at scoring chip damage in spite of a good defense. In Draft, forcing damage on the Tower is an amazing thing. Medium-strong damage, with the ability to survive at least 6 hits from even the hardest hitters. Support card killers, Pump counters, swarm defense and of course guaranteed chip damage. 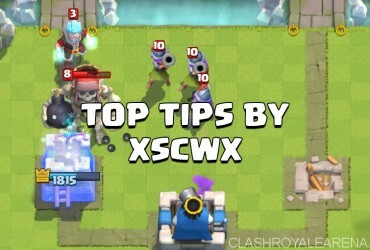 With a heavy spell you can probably get at least 1 really good Elixir trade in, plus they can be a great way to end a close game. You want one of these, but typically not more than one of these. If you’ve got any splash card, this can be a powerful offensive/defensive tool. Plus it’s effective at killing small swarms, activating the king Tower, countering certain win conditions and just plain moving things around. A ranged splash damage dealer who births distraction troops. She’s an excellent card for draft. Battle Ram is normally one of my favorite cards, but in a world where he’s got crappy defense, it’s an amazing card. It can act as solo win condition, as a tank for supporting troops, as a kite for troops like Mini P.E.K.K.A, and on defense as a mini tank filled with 2 Barbarians. A useful chip card who can kill spawners and pumps, an emergency defensive medium tank, and of course tank for the counter-attack after whatever defense you slapped together? Some cards are insanely useful on defense in Draft. 4 Elixir is a pretty good trade for most medium sized/tanky units, and since so many of them are ground troops, you get a free Inferno Dragon out of it. Plus he’ll give you a definite answer to Giants, Golems and Pekkas. He’s also a medium tank, in a pinch. High DPS, and excellent at swarm control, plus there is a pretty decent chance your opponent doesn’t have a Log or Arrows. And he can provide amazing air defense. Without a Zap, Sparky can be very hard to defeat on defense. Another card whose risk often outweighs its value, but in draft sometimes your opponent has no good answer! If you gave him 4 cards that don’t help him kill Minion Hordes, then take the Minion Horde, it’s an amazing defense.